Timmerman created a butterfly garden using similar guidelines below. We did have to make some adjustments due ot size, budget, and time. We were able to build a fence to protect our garden. 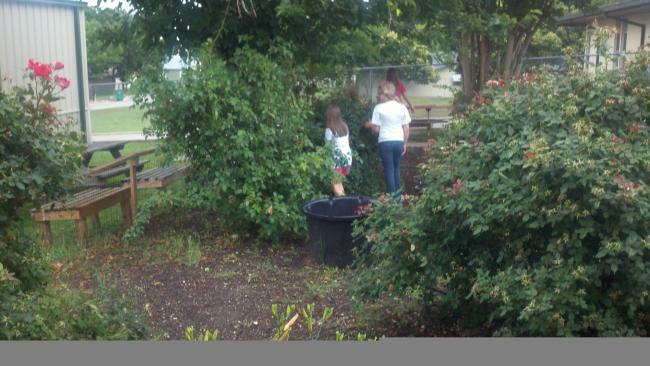 Our fifth graders and essential needs class tends to the garden almost daily. Many classes observe and learn from the area in their science units. We found a rhinosaurus beetle in which we released after a field investigation study. Not only does this marvelous garden provide a habitat for beautiful butterflies, it fosters a minature ecosysem in which organisms work together while providing a hands-on exploration for our students! Attract wildlife: bring butterflies and other wildlife into your garden for purposes of enjoyment, observation, study, and photography. Ecosystem/habitat conservation: a well-planned butterfly garden becomes a small, but representative sample of the surrounding habitat and as such provides a safe haven for butterflies and other wildlife to gather, seek shelter, acquire food and water, reproduce and build populations; do not underestimate the importance of even a small garden. 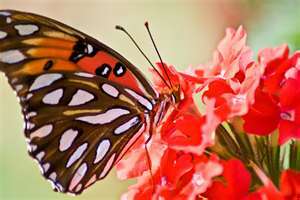 Herbs: most herbs are also excellent butterfly attractants; useful culinary plants and provide wonderful aromatherapy. This is so beautiful and wonderful how the kids created and maintain the garden.